Decoy carving is an art form that has its roots in the early history of America. Native Americans would form decoys from cattails, bullrushes, and reeds. The naturally buoyant properties of these plants allowed the decoys to float easily in areas where ducks and geese would forage or roost. Hidden in nearby tules, hunters would wait patiently to arrow, snare, or net the unsuspecting waterfowl. Modern decoys are crafted from cork or wood – namely cedar, white or sugar pine, basswood, and tupelo. Many of my own decoys are carved from white cedar. 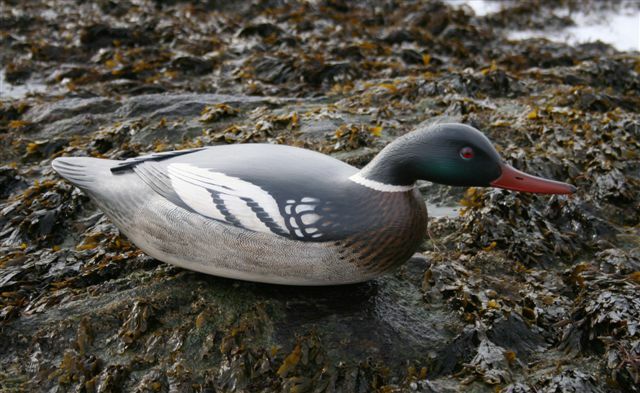 A piece of clear, kiln dried Maine white cedar makes a wonderful decoy and is a joy to carve. In the market gunning period from 1900 until approximately 1920, market hunters would deploy several hundred cork or wood decoys to lure whole flocks of waterfowl within gun range. It was not uncommon for a hunter to kill 200 ducks in one day, which would then be sold to high-end restaurants in New York and Chicago. The decoys of this time were often crudely made, and were constructed from whatever was readily available. Cedar and pine telephone poles were easy to come by, as were old crab and lobster buoys. 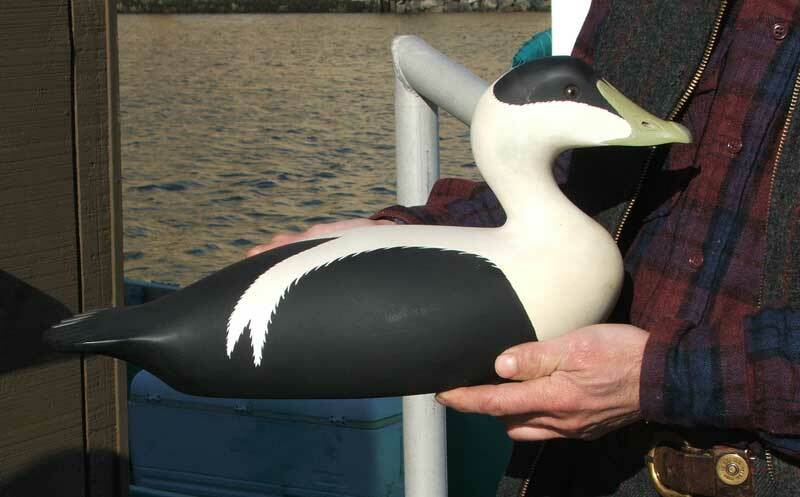 Some decoys were made from used scallop bags that were stuffed with sawdust and then painted to make them water tight. These decoys may not have been the prettiest to behold, but they were effective and they did serve a purpose. 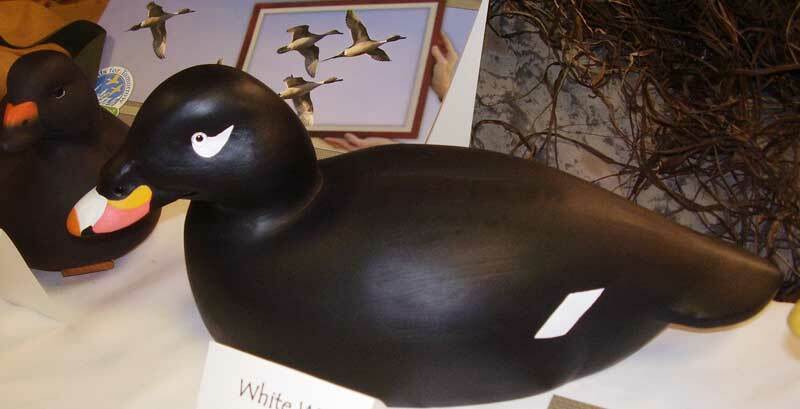 Some current decoy carvers include Keith Mueller, Pat Godin, Tom Christie, and Jim Schmiedlin. Though the tools of today may be more advanced, the overall objective of these modern carvers is the same as it was 80-90 years ago – to create something lifelike from an inanimate chunk of wood. In the pages that follow, we will take a deeper look at the tools and methods that are employed to produce a functional gunning decoy. ﻿﻿I hope to cover all of the bases, from laying out a pattern and bandsawing the initial shape of a decoy, to the final painting and finish. Its been quite a while since we have seen each other or corasponded.Nice site you have & right up. Thanks for checking out the site, but I think you mean Steve Brettell’s website (www.stevebrettell.com). I’ll tell him you said Hi. I was recommended this blog through my cousin. I am no longer certain whether this submit is written by him as no one else know such specific about my difficulty. You are wonderful! Thanks! I’ve neglected this blog for a bit. Been busy with work, new house, kids, dog training, carving, etc., etc., etc. What questions do you have? Happy to help and answer your questions.